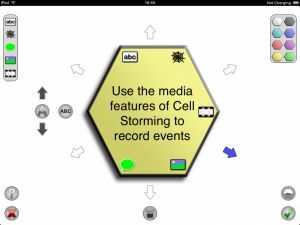 With Cell Storming you create cell maps by connecting hexagonal cells together and then adding media elements to these cells. You can add images, videos, voice memos, text, and web links to each cell on the map, which can then be viewed when browsing your cell map later on. Extensive export options enable you to share your cell maps (including all media elements) with other Cell Storming users, or generate images and PDFs of your cell maps for non-users. Dropbox support is built-in along with email, iTunes, and Facebook sharing (some export options require an In-App Purchase to the full version before they become available). Upgrade to the Pro version of Cell Storming via an In-App Purchase and access additional “Flow Export” functions that can generate and export media files defined by how your cell map flows (using connection arrows from cell to cell). Flow exports include text, audio, and video generation. 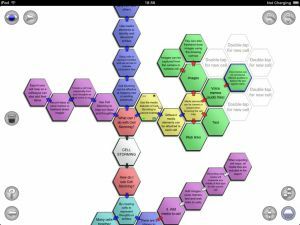 Use Cell Storming to map new ideas, document existing processes and entities, or use the media capture features to record events as they happen. 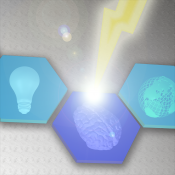 I would like to thank all users that have kindly left feedback in the App Store and the Cell Storming Facebook page. Please note that I am unable to reply to reviews left in the App Store. If possible please leave feedback on the Facebook page (accessed from the home screen in the App) so I can respond with advice or questions about any issues you have. Thank-you for your support.
? Hot fixes implemented to resolve reported crashes.
? Dropbox SDK updated to latest version.
? Optimisations for latest devices.